Okay, I know, it’s way too early to be talking about 2016 presidential contenders but the fact is Washington is a political town and is fueled by political speculation. And if you’re a Republican, there is no better way to escape the gloom of last year’s presidential election than to think ahead four years when the Obama era will end and the presidential field will be wide open. The latest Quinnipiac public opinion poll on potential 2016 Republican contenders showed no clear frontrunner. 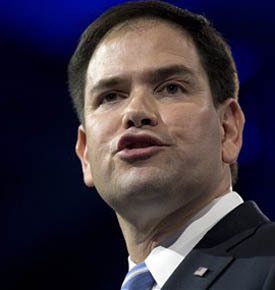 Florida Senator Marco Rubio topped the list at 19 percent support among Republican voters. 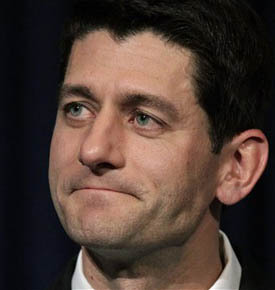 He was followed in order by Wisconsin Representative Paul Ryan, Kentucky Senator Rand Paul, New Jersey Governor Chris Christie and former Florida Governor Jeb Bush. In other words, it’s way early and Republican voters haven’t even come close yet to coalescing around one or two major presidential candidates. Consider the last two Republican presidential nominees. John McCain in 2008 and Mitt Romney last year were pretty much products of the Republican establishment, though you can make the case that McCain has long had a maverick streak (and no, not in a Sarah Palin kind of way). Both men ran for the nomination previously and lost. They patiently waited their turn and eventually triumphed, though both also had their detractors within the party who doubted their commitment to core conservative principles. This is how the Republican Party has operated for much of the post-World War II era. The heir apparent patiently awaits his turn in the spotlight. Richard Nixon faithfully served two terms as vice president under President Dwight Eisenhower and narrowly lost his presidential bid to John Kennedy in 1960. Eisenhower wasn’t always helpful to Nixon’s campaign. Asked to name a major idea put forward by Nixon as vice president, Ike famously told a reporter, “If you give me a week, I might think of one.” Ouch. Ronald Reagan made his first tentative foray into presidential politics in 1968, the year of Nixon’s big comeback. Reagan ran for real in 1976 and nearly knocked off the incumbent president, Gerald Ford, in the Republican primaries. Reagan had to wait until 1980 to finally claim the Republican nomination and then cruised to the first of two easy wins in the general election. Reagan’s vice president, George H.W. Bush, patiently waited eight years for his turn in 1988. Bush had challenged Reagan for the nomination in 1980 and won the consolation prize of being asked to be Reagan’s number two. That set him up for his own victorious presidential run eight years later. Likewise for John McCain, who made a spirited run in 2000 only to lose out to George W. Bush in what was a times a nasty campaign. McCain hung in there and waited his turn, re-emerging in 2008 and winning the nomination, the latest in a long line of Republican contenders who waited their turn for a chance at the prize. Looking ahead to 2016, there is no heir apparent. The Republican Party looks to be in the midst of a generational shift. No more establishment-favored candidates like McCain or Romney. Enter the new generation—Rubio, Christie, Paul and Ryan. And of course, there is Jeb Bush looming in the background. How about a Bush-Clinton sequel match for 2016? I just wonder how well Jeb Bush would do in the Republican primaries dominated by evangelical Christians and Tea Party activists. And then there is the Bush name. Has enough time gone by for the memory of the George W. Bush years to fade from public consciousness and allow Jeb Bush to create his own political profile? So to me, Bush is the only possibility for the establishment Republicans to reassert themselves in terms of a presidential nominee in 2016. Some could also gravitate toward Chris Christie. But he gave plenty of conservatives heartburn last November with his 11th hour appearance with President Obama touring the hurricane-ravaged Jersey shore. And then there is the wild card, Senator Rand Paul. 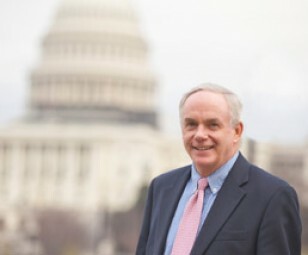 He appears to be building a fervent following like his father, Congressman Ron Paul, especially among younger conservatives and libertarians. But Paul’s semi-isolationist foreign policy views are in stark contrast to the robust intervention advocates among the Republican Party’s neo-conservative wing, which had a profile in the Bush years following the 9-11 terrorist attacks. 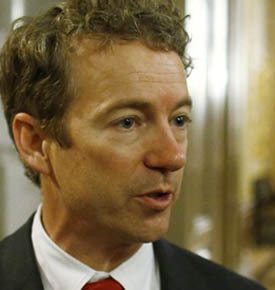 Could Paul split from the party in 2016 and mount an independent bid for president? It’s conceivable. And don’t forget his recent 13-hour filibuster in the Senate targeting the president’s drone policy. It won some kudos from both liberals and conservatives. Paul looks as though he’s got a good knack for self-promotion and that’s no small thing if you’re thinking of running for president. While Quinnipiac looked over the possible Republican Party presidential contenders, the latest Marist public opinion poll showed that Hillary Clinton, a Democrat, would defeat all of them if the election were right now instead of 2016. 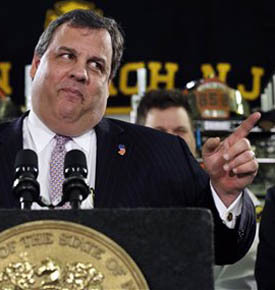 The only Republican who came close was Christie, who lost to her by three points, 46 to 43. Clinton has not said much about her intentions for 2016, but women Democrats in particular are eager for her to run. They believe it’s time for a woman president and no one comes even close to filling that bill like the former secretary of state, senator and first lady. In that sense it could be like the old Republican mantra that it’s Hillary’s turn in 2016 and the party should rally around her. Of course some savvy observers would note that she was the Democratic favorite heading into the 2008 election cycle, and while the race was close, Barack Obama, the new kid on the block, emerged victorious in the nomination battle. 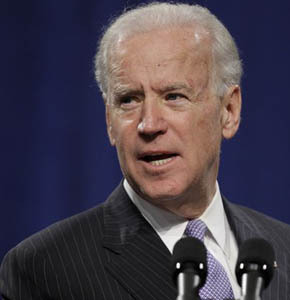 What about Vice President Joe Biden? Will he still run if Hillary decides to go? It would seem an uphill battle for Biden, even though he has his supporters in the party and certainly within the administration. Could the party withstand a heavyweight bout between two Democratic stalwarts? Divisive nomination battles can harm a party’s prospects in the general election. But it didn’t hurt the Democrats in 2008 following the drawn-out Obama-Clinton primary struggle. While the Republican side boasts younger candidates, both Biden and Clinton have been around a while. 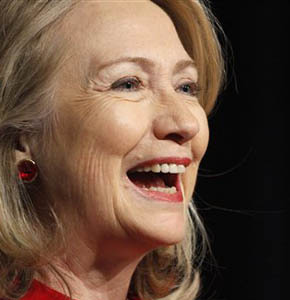 Clinton is 65 and will turn 69 shortly before the 2016 election. Biden is 70 and would turn 74 shortly after the 2016 election. A younger generation of candidates is waiting in the wings, hoping one or both of them decline to run in 2016. New York Governor Andrew Cuomo and Maryland Governor Martin O’Malley are both actively promoting themselves on the national scene and may decide to run no matter what Clinton or Biden do, just to boost their name recognition. As for the age thing, Biden and Clinton could take inspiration from Ronald Reagan. He’s the oldest candidate ever to win election to the White House. He was 69 when he defeated Jimmy Carter back in 1980. Right off, Ryan and Rubio are out……..Christie is very doubtful….Hillary is just too tired. Keep an eye on Nikki Haley. She just needs to win Tea Party and pro life conservatives in Iowa, become third in New Hamphire and win her home state of South Carolina to win a historic cult following and the nomination.